Dr Tony Robinson, CONNECT Investigator at Trinity College Dublin, has had a taste of life as an astronaut on board a ‘vomit comet’ flight. 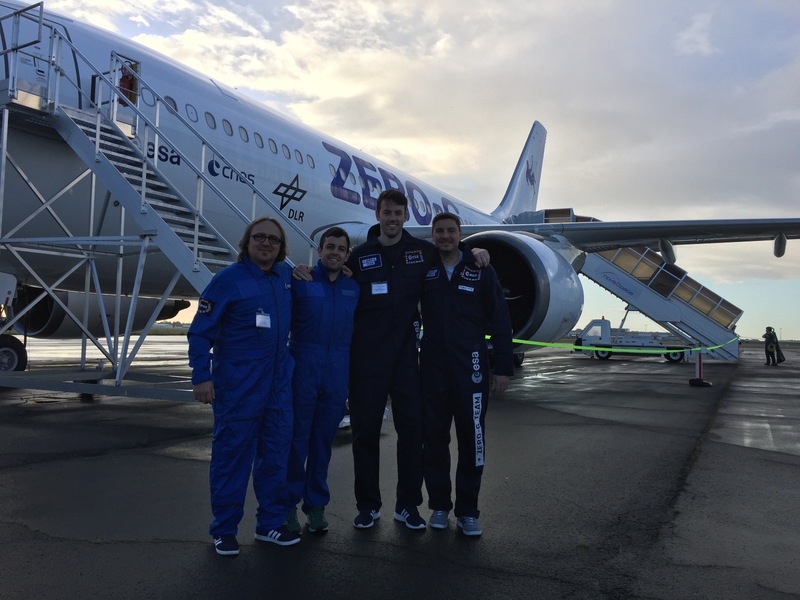 The Zero G aircraft allowed him to experience zero gravity while flying over the Atlantic. Tony was conducting experiments on the behaviour of evaporating water for the European Space Agency. His research work explores how steam could be used to power space ships for deep space travel. His work could eventually be used on board the International Space Station. 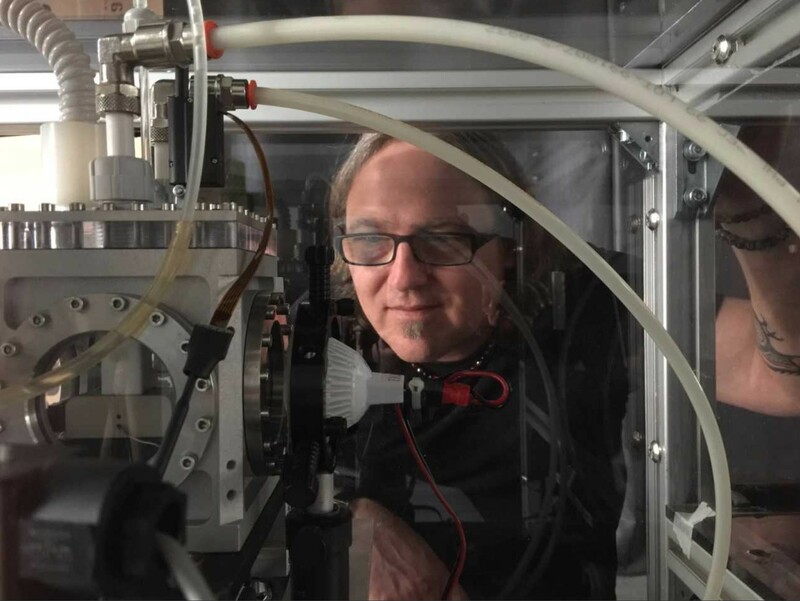 Tony, an Associate Professor in Mechanical and Manufacturing Engineering in Trinity, is part of an elite team of scientists and engineers who advise and guide the European Space Agency. The Zero-G ‘vomit comet’ is a specially adapted aircraft with a padded interior and decked out with scientific instruments. It gets its name from the high number of passengers who experience nausea and air sickness. Tony and his fellow passengers were given a scopolamine injection before they boarded the plane to combat the effects of the flight on the body. Their experiments took place on a flight route over the Atlantic. It achieves zero gravity by making a sharp ascent from 24,000 feet to 32,000 feet at an angle of 45 degrees before levelling off. At this point passengers experience 25 to 30 seconds of weightlessness during which they float like space astronauts. After these few seconds, the nose of the plane tilts downward at 45 degrees to complete the final stage, before leveling off to a normal altitude. Over the course of two hours Tony experienced 30 of these sequences which are known as parabolas. 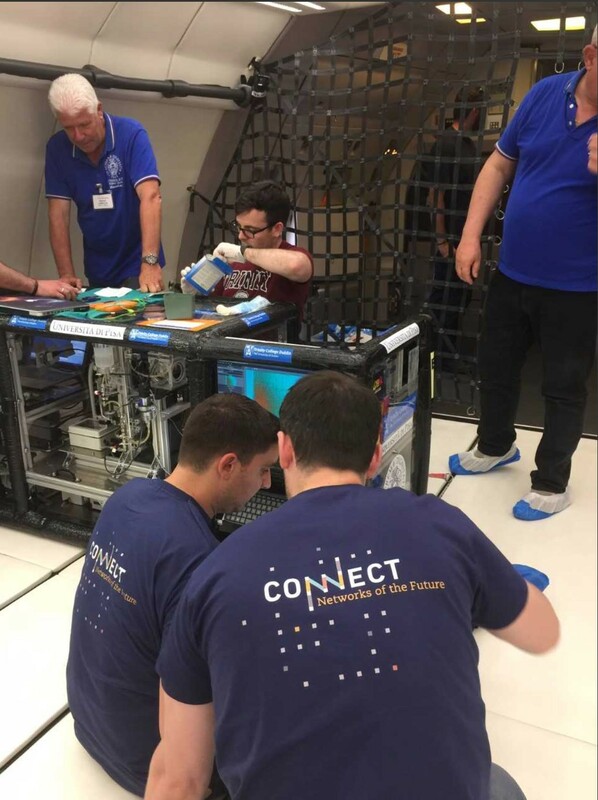 After his work on the vomit comet, Tony and his team now have to work through terabytes of data to make sense of the information they have gathered. Outside the vomit comet: Tony Robinson, Michael Gibbons, Seamus O'Shaughnessy, and Maxime Rouzes. CONNECT researchers setting up their experiments before the flight. Tony takes a closer look at his water evaporation experiment.